Romance and Monterey County seem to go hand-in-hand. There is a picture perfect backdrop almost everywhere you turn and are bound to capture some incredible moments that will forever go down in your hopeful history. Here&apos;s our list of some the most romantic hot spots to pop the question that are sure to get you an enthusiastic "yes!" This choice is almost too obvious. The name alone dignifies a spot on this list but the iconic views really land Lovers Point on the map. For an early morning surprise, wake up before the sun and head down to the protected sandy cove. The unique east-facing location is one of the only spots on the West Coast where you can actually watch the sun rise over the water and you might even spot a sea otter or harbor seal down below. Afterwards, stroll up to Lighthouse Avenue in Pacific Grove for a cozy breakfast at Crema or brunch at Fandango Restaurant. Certainly a memorable way to start the day! Make your days of being "lone" over! Solidify your relationship near a tree with roots over 250 years old. 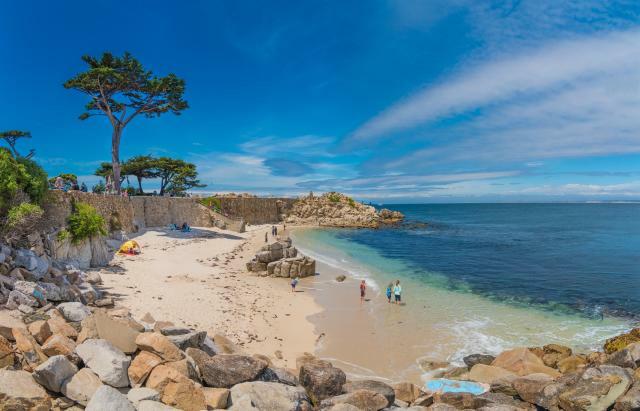 Start by taking your sweetie on a scenic drive through Pebble Beach&apos;s coastal 17-Mile Drive. After daydreaming of playing "house" in one of the multi-million mansions pull off to take in the iconic sight of the Lone Cypress, also along the route. The "most photographed tree" in the world is sure to be a great snapshot in your scrapbook. 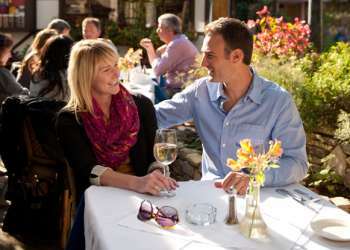 Afterwards, assuming the answer is "yes," celebrate with a romantic evening in front of the fire pits at The Inn at Spanish Bay. Order a cocktail and curl up with your loved one while the bagpiper plays Scottish tunes as the sun goes down. What&apos;s more romantic than snuggling up to your love while enjoying a sunset? 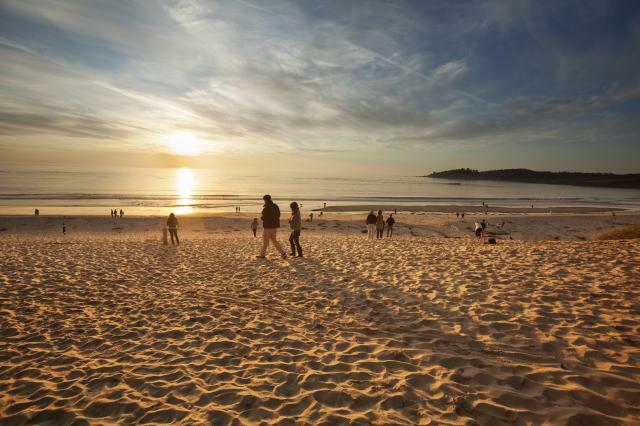 Carmel Beach&apos;s sunset show has people stopping in their tracks on a daily basis and makes for the perfect ambiance to your proposal. Grab some snacks and a bottle of wine at Salumeria Luca beforehand for the ultimate clincher! Are you both the outdoorsy type? Is you idea of a romantic day hiking to the top of the peak with your special someone for a picnic? If so, look no further, Point Lobos is often called "the crown jewel of the state park system" and is the perfect spot to present an actual jewel to your Valentine. 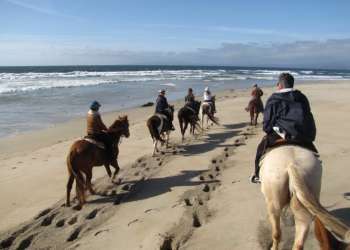 The wilderness trails and invigorating vistas of the Pacific Ocean are quite frankly unmatched. As you stare into the distance at either a playful sea otter or spouting gray whale get down on one knee and profess your adoration. Need a little liquid courage before popping the big question? Grab a glass of Hahn&apos;s award-winning Pinot Noir before strolling through their beautiful estate vineyards just up from the tasting room. 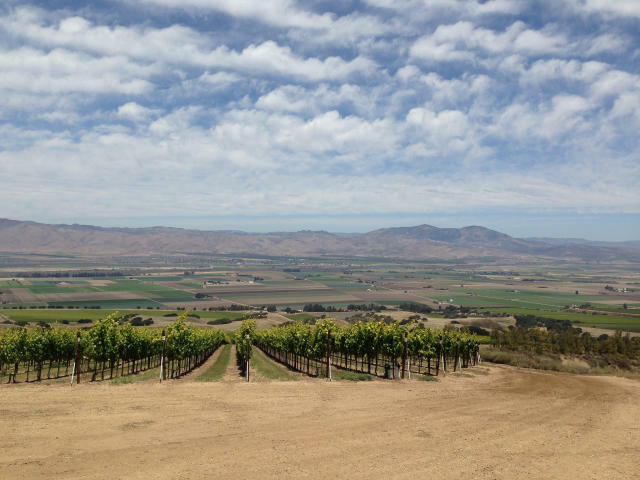 The breathtaking views of the Salinas Valley won&apos;t be the only reason your sweetie won&apos;t be able to catch a breath once you&apos;re seen on bended knee. Worst case scenario, there is plenty of wine to be had!